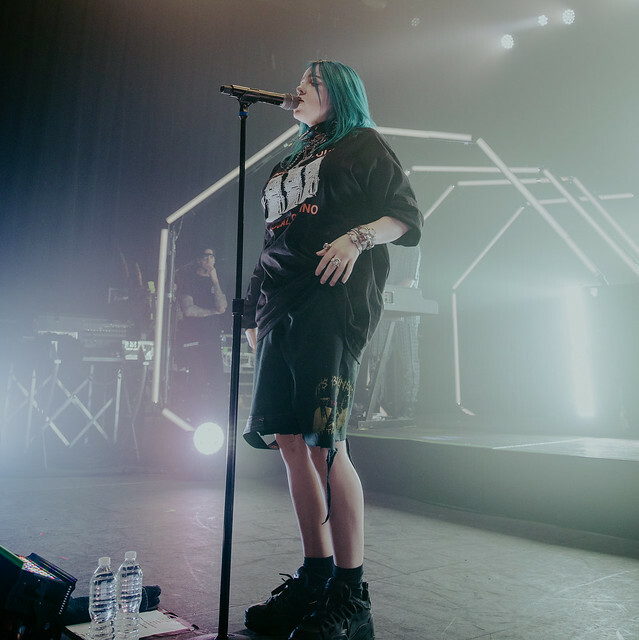 Billie Eilish Brings Sold Out 1 By 1 Tour To Philadelphia Reviewed by David Zeck on November 5, 2018 . There artists who are ordinary and then there the artists who are anything but. Billie Eilish is simply one of the extraordinary ones. The 16-year-old singer, songwriter made a splash on the music community when her song “Ocean Eyes” became a viral sensation. The track to date has accumulated over 130 million streams on Spotify alone. In 2017, she released her debut EP Don’t Smile At Me through Interscope Records, which once again made rumbles with music fans taking her well on her way to a rise of stardom. Last month she released a new single titled “When The Party’s Over” giving fans a taste of what her upcoming full-length album might be like. Don’t be fooled by her age, this teenager is wise well beyond her years and she doesn’t buy into the typical “Popstar” mentality either. Musically she can be described as having an Indie- Pop feel reminiscent of Lana Del Rey with the chaos of Tyler The Creator. Billie unlike those usually in her genre trades beautiful dresses for comfortable sweat pant’s, shorts, hoodies, and sneakers. She doesn’t sell herself based on looks but rather by connecting with her fan’s on a much deeper level. She’s may be in the Pop genre however she is not defined by it. Her honest from the heart songwriting has made her loved by fan’s, peers she often personally communicates with and meets before and after her shows. Billie’s song’s cover a wide range of topics, done in her own unique way. Don’t Smile At Me is filled with stories of her past relationships, heartbreaks and even more important now a day’s an open dialogue regarding depression. The EP has catapulted to popularity thanks to records like “Idontwanttobeyouanymore”, “COPYCAT”, and “bellyache”. Now Billie Eilish has taken to the road once again, as of typing this her 1 By 1 Tour is Sold Out in nearly every city on the schedule. This includes the city of brotherly love Philadelphia, Pennsylvania. I headed down to Union Transfer, to check out Billie’s live performance and see what all the fuss was about. I’m happy to report I wasn’t disappointed. As I arrived at the venue, I witnessed lines wrapped around the block and a crowd filled with energy. 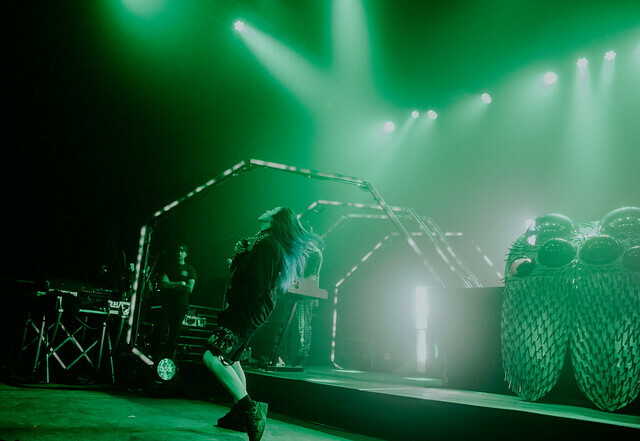 Once inside that energy didn’t dissipate but instead grew with anticipation for Eilish, the fan’s on the venue floor and balcony chanted “Billie, Billie, Billie,” while green glow in the dark alien balloons were floated across the sold-out crowd. The stage dimly lit, then like that a rumble of bass rolled throughout the building and Billie made her way to a more visible stage set up. A spider with light up eyes and body and long light up legs stretched across the stage, fans screamed at eardrum-piercing volumes maybe not heard since the MTV TRL days. 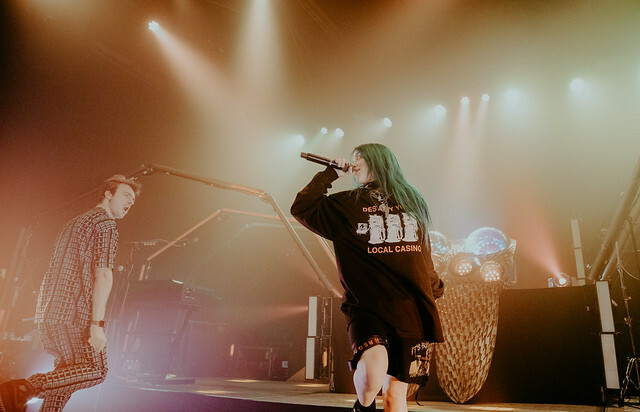 The set began with the track “My Boy,” Billie made her way back and forth across the stage barely standing still and wasting no time in running to the front of the stage and reaching for her fans on the barricade. The energy was overwhelming and could be felt no matter how close or far and high and low. 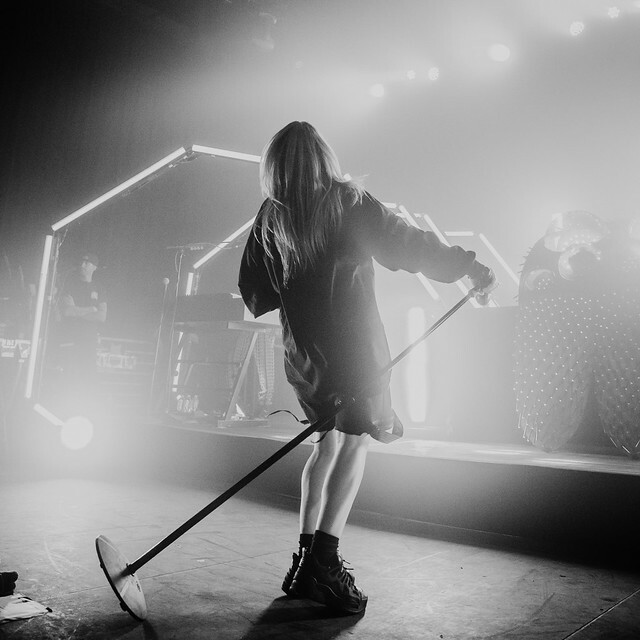 For the set’s second song Eilish took to the mic stand and slowed things down briefly for the song “Idontwanttobeyouanymore” in which the crowd sang making it almost impossible to hear the singer at times. Something from what I’m told is not uncommon at her shows, given her die-hard fan base. The set also included highlights coming from moments in which Eilish whipped out a Ukulele for the song “Party Favor” where the fans once again screamed the entire chorus as Billie Strummed away. She also surprised the crowd with a cover version of Childish Gambino’s “III. Telegraph Ave. (“Oakland” by Lloyd)”. 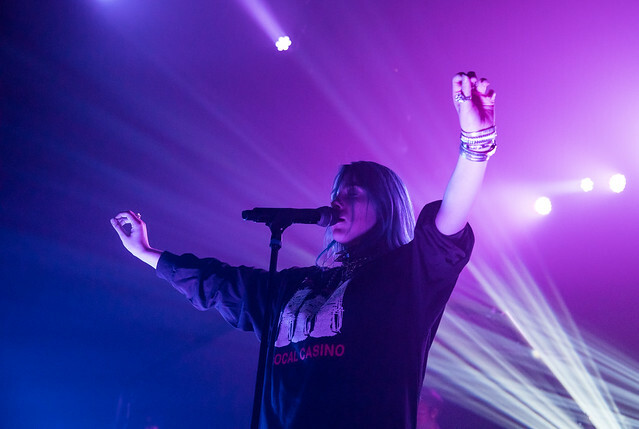 After a 15 song setlist which included the encore’s “Ocean Eyes” and “Copycat,” the fans roared at the magical evening they just experienced with their idol. 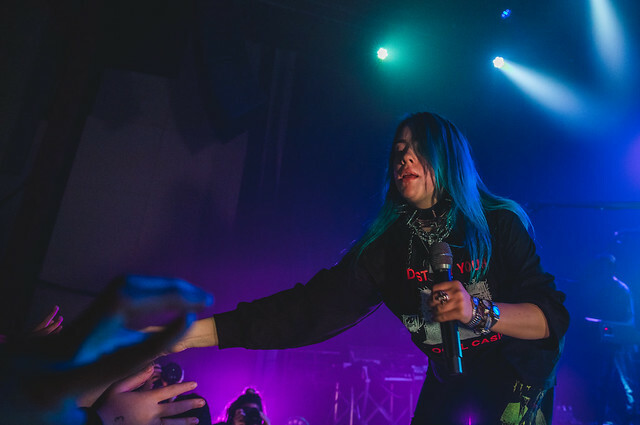 The crowd of all ages and some parents in attendance spent the night laughing, dancing and even at moments crying with Billie Eilish. The song-writer sounds great live, her performance was top notch and entertaining. Her ability to interact with fans and make the show and experience separate her from so many other performers. 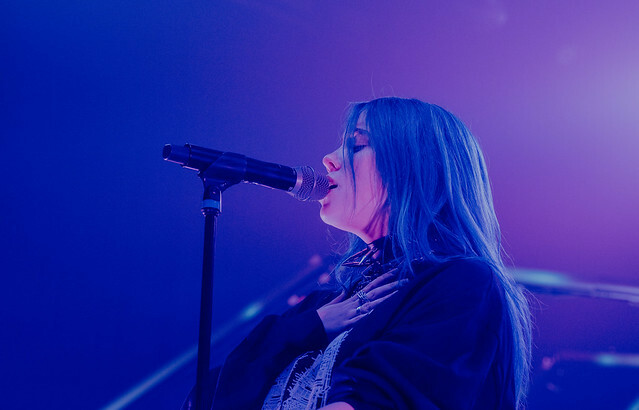 Billie Eilish, in my opinion, is the next big thing, I think you’ll be seeing her headlining much bigger venues in the not too distant future. Eilish continues on her sold-out North American Tour Monday at Brooklyn Steel in Brooklyn, NY and will be on the road through November before wrapping up the U.S leg of the tour at The Fonda Theatre in Los Angeles, California. Check out the full list of tour dates on her official website.